Classroom Ponderings: Blake Education Giveaway! Did you know that Blake Education is having a HUGE end of year sale? I have used many Blake Education resources over the years and quite frankly a teacher resource sale is in the same category as a shoe sale...not to be missed! As a special offer Blake Education is offering all Australian readers of Mrs Poultney's Ponderings a chance to win a Targeting Maths BLM book in celebration of their end of year sale or our international readers a $20 gift voucher. 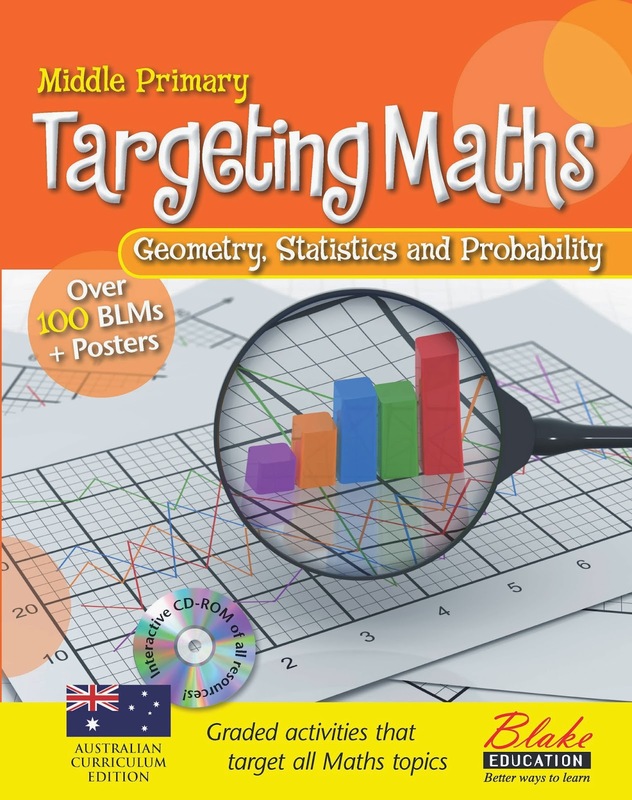 The Targeting Maths Series is a comprehensive resource for primary schools. It has been designed to provide busy teachers with all the additional material they need when teaching mathematics. All aspects of the mathematics curriculum are covered in this twelve book series. Just enter the appropriate Rafflecopter for your chance to win! 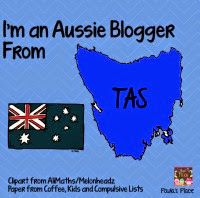 Australian readers enter the first Rafflecopter to win a Middle Primary Targeting Maths Book. or International Readers enter the second Rafflecopter to win a $20 voucher to Blake Education Teaching Resources. What better time to spend a voucher than sale time! I used the Targeting Maths series a few years ago and I was pleasantly surprised to see how much more comprehensive they are now! I love the problem solving section and the assessment pages for the end of each unit. I also noticed that these gorgeous Gigglers series is on sale as well. I have seen these books recently and I loved the bright illustrations, the stories are funny and keep the kids engaged in reading at a level that is appropriate. These would be great for home readers or guided reading groups. “These books are all part of Blake Education’s end of year sales! Save up to 65% on Best-selling Literacy Readers such as Gigglers and Go Facts as well as well as quality Arts, English, Maths and Science Teacher Resources. 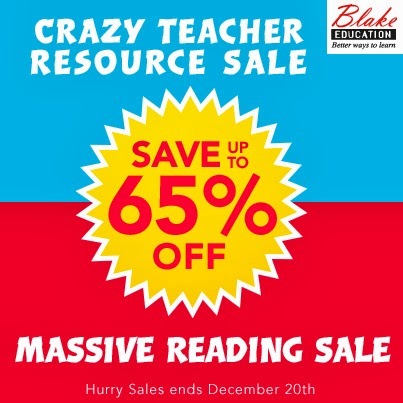 Visit www.blake.com.au/massivesale for literacy OR Visit: www.blake.com.au/crazyrsale for teacher resource. Thanks Tania, I am going from Year 2 to 5 next year so I will definitely stock up! Hope you entered the Rafflecopter!